Tel Aviv University and its American Friends celebrated the accomplishments of The Steve Tisch School of Film and Television at its 2017 Annual Gala at the IAC Building in New York City. The School’s founder and key supporter, producer and philanthropist Steve Tisch, was honored for his commitment to enhancing the academic training of film and television students at the University. Ranked among the world’s top 15 international film schools by The Hollywood Reporter for two consecutive years in 2015 and 2016, The Steve Tisch School of Film and Television at TAU is Israel’s leading institution of film and television studies. In 2015, TAU announced a $10-million gift from Tisch to transform the University’s renowned Department of Film and Television into The Steve Tisch School of Film and Television. Over the last two years, his investment has helped enhance curriculums, attract and expand top-level talent, boost its capacity to offer scholarships, provide new, state-of-the-art equipment and building renovations, and forge new international collaborations. The gala was vice-chaired by a number of entertainment industry luminaries, including: Matthew C. Blank, Len Blavatnik, Ari Folman, Eytan Fox, Allen J. Grubman, Bryan Lourd, Leslie Mooves, Richard Plepler, Haim and Dr. Cheryl Saban, and Chris Silbermann. Steve Tisch is a partner at Escape Artists Productions and is a co-owner and chairman of the New York Football Giants, the only person with both an Academy Award® and a Super Bowl ring. He received his Academy Award® as a producer of Forrest Gump, which won the Oscar® for Best Picture in 1994, and has received two Super Bowl rings as Chairman of the Giants. Tisch has long been a leader in the philanthropic sector and generously contributes his time and resources to a variety of organizations. Tisch is on the Boards of The Geffen Playhouse in Los Angeles, The Los Angeles County Museum of Art, and The Preston Robert Tisch Brain Tumor Center at Duke University. He is the naming benefactor of the sports and fitness center at his alma mater, Tufts University, and of the UCLA Steve Tisch BrainSPORT program. 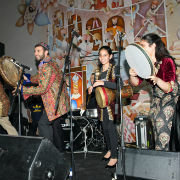 In 2014, Tisch served as the first honorary chair of the Tel Aviv International Student Film Festival at TAU, long ranked among the top three student film festivals in the world. 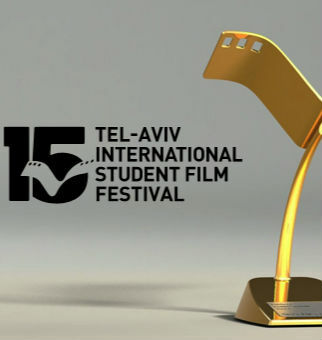 Established in 1986 by TAU Film & TV students, the prestigious Tel Aviv International Student Film Festival is now the largest in the world.